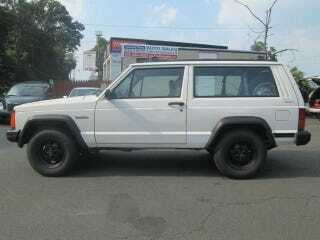 Here's a 2-door 5-spd manual '96 Cherokee for $2500 obo. I'd take off the hubcaps. Otherwise, it's the perfect size for a small 4x4. Here's another manual 2-door, but with a 6-banger for $1k more. I don't know why, but I just love these things.